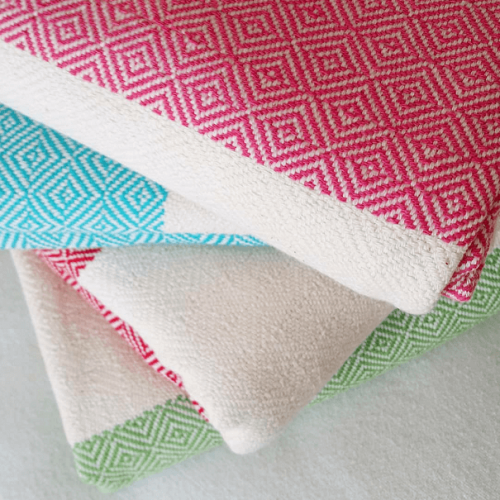 The Retro Cotton Hammam Throw is reversible and lightweight with a stylish and modern diamond weave pattern on a natural background. Thrown over a sofa, it will reinvigorate up your living room whilst giving extra protection. 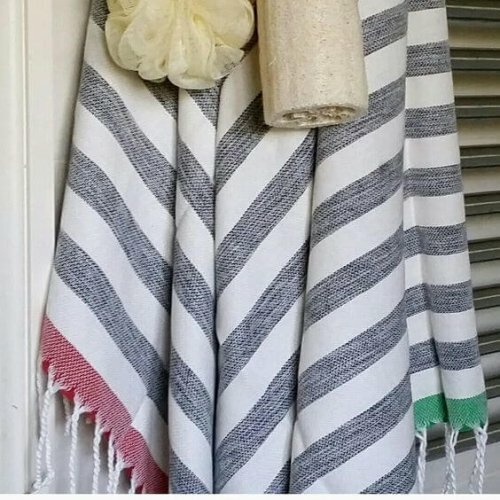 It would also be perfect as a bedspread in your guest room, giving a splash of colour and accent to the bedroom. 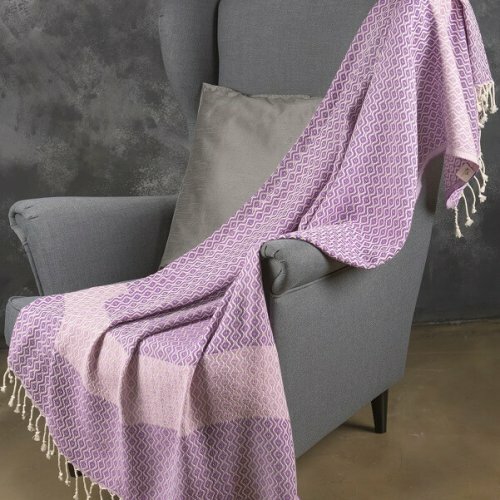 Retro throws are delightfully soft and immensely versatile. 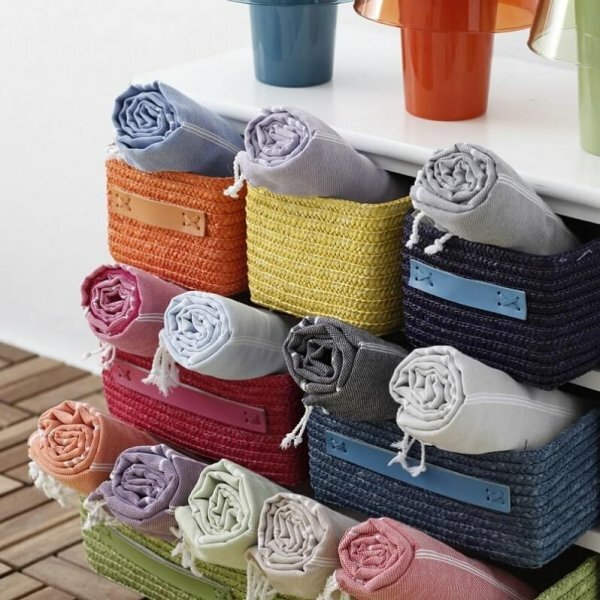 Equally, they are compact so it won’t take up much of your precious cupboard space. 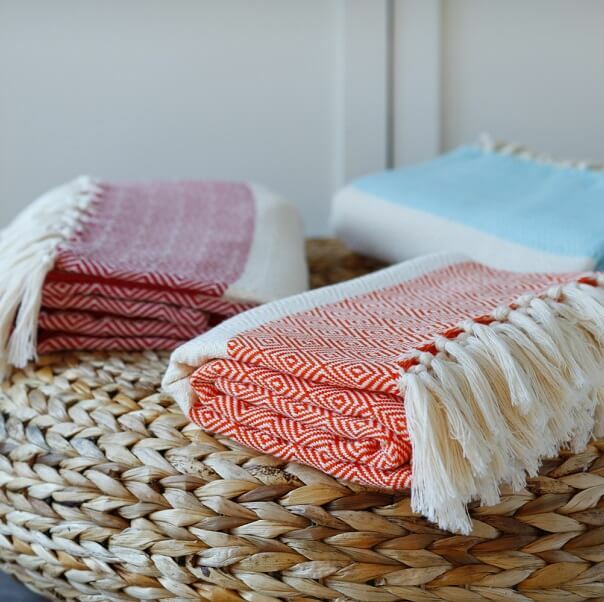 They are also ideal as an outdoor blanket for breezy summer garden parties or as the sand-free beach, picnic blanket. A perfect gift idea with its lovely texture, pleasant & easy going style. 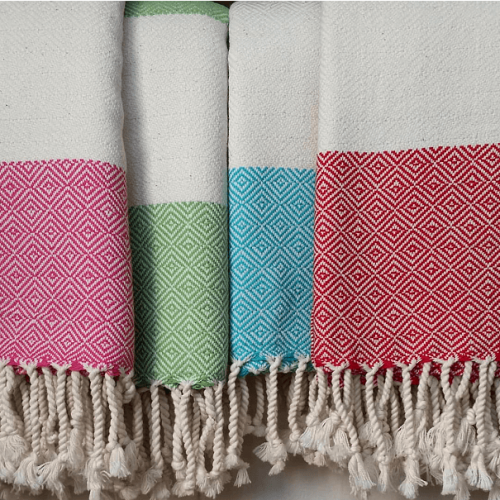 Why don’t you spoil yourself and your loved ones with a touch of pure cotton? You will love it and so will they. 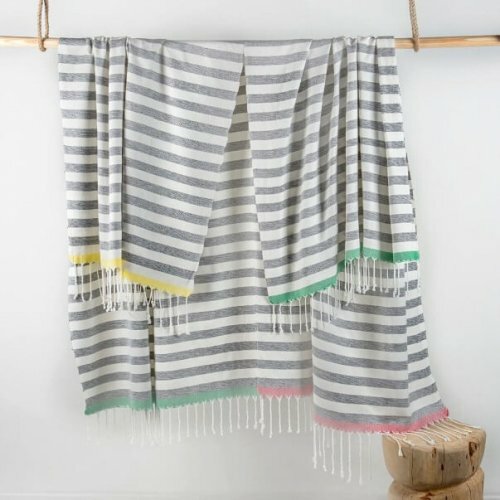 Retro cotton hammam throw has hand-finished tassels on each side. They are presented in three vibrant colours: orange, aqua and red. 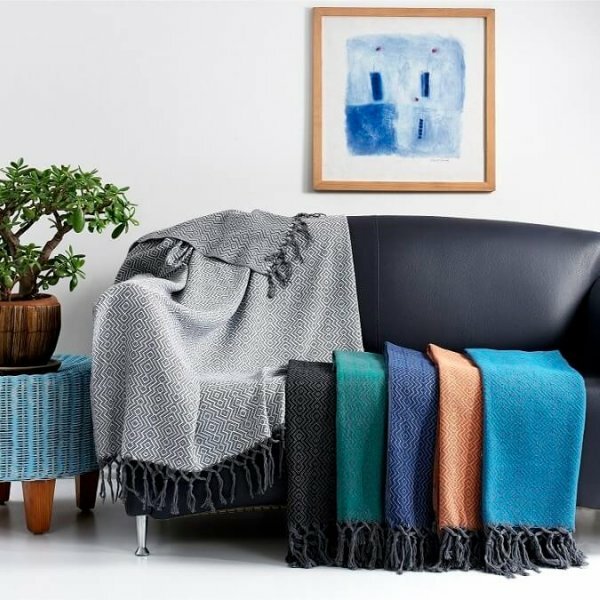 You can browse Cotton and Olive’s throws selection by clicking here. Machine washable and quick to dry. 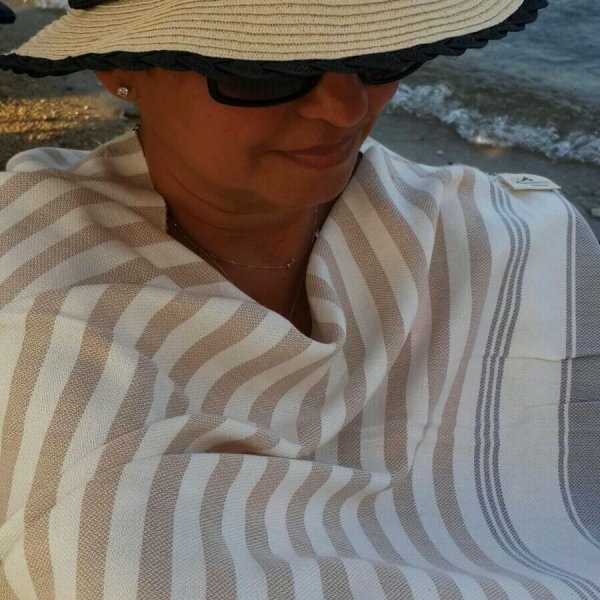 My Peshtemal towel is becoming almost as well-travelled as I am! 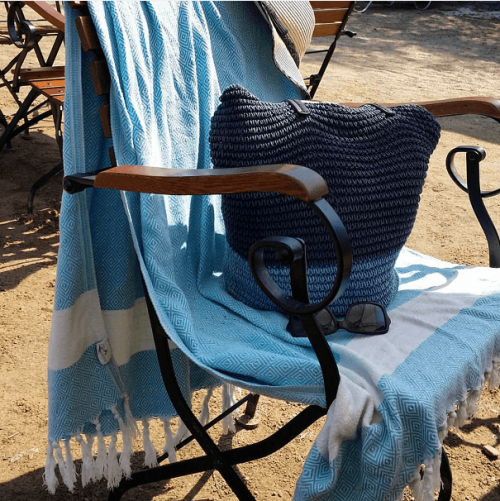 It’s great that it is folds up small and is light, so it doesn’t take up valuable holiday clothing space in my suitcase – yet it is large enough to wrap around like a sarong and is really absorbent. It dries really quickly and washes up well. Lovely and soft. Great to pack into a beach bag without having to take a massive bag. Ideal for holidays and weekends away. A really good buy! 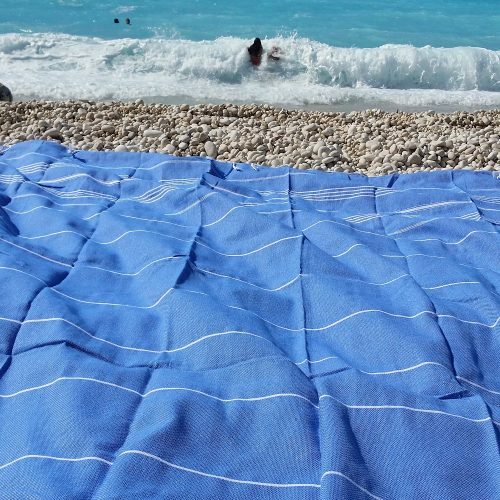 I bought one of these and two of the other types as an alternative to regular beach towels for my yearly holiday to the South of France. 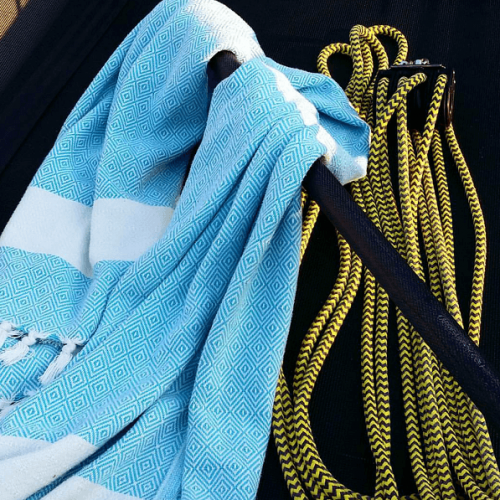 This towel is bigger than the other two but all were great for laying out on the beach, as a sarong, blanket, picnic blanket and so on. I love the fact they wrap up so small compared with regular towels and in my opinion (as they will be used for holidays) they are what i call a “lifetime purchase”….